Price: 45,000 won. A deposit of 15,000 won is required for the reservation. The remaining 30,000 won can be paid in cash when you reach the ATV location. This activity needs to be booked separately from paragliding. 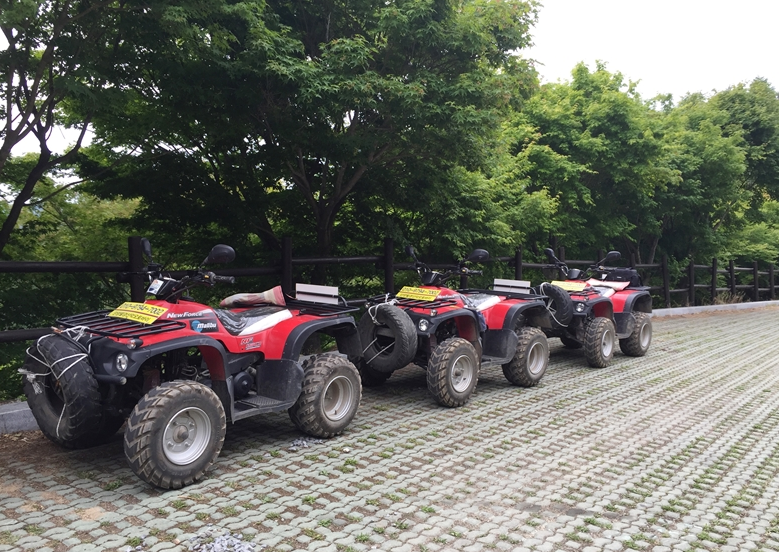 The location for these ATV's is within walking distance of the Danyang Bus Terminal. A map is shown below. Send us a message or email if you need help with directions. Rental time is for one hour. When you arrive in Danyang, simply walk over from bus terminal to the ATV address listed above.